My Grandma gave me an Apple Pie dish recently when she was having a clear out (as I’m sure all Grandparents do!) I’m not sure how old the dish is but it looks a little 70’s and I love it. 1 - Preheat oven to 200oC. 2 - Dice apples and put in a medium saucepan with ½ inch water and ½ tsp Ground Cinnamon. Cook on a low heat for approximately 10 minutes to soften the apples. Add a little sugar to reduce any sharp flavour the apples can give off. 3 - Take off the heat once the apples are soft and strain away the juices. If you skip this step you’ll end up with soggy pastry! 4 - Divide your pastry into two (one for the base and one for the top). Roll out the first half to use as the base of your pie, and place carefully into your pie dish. 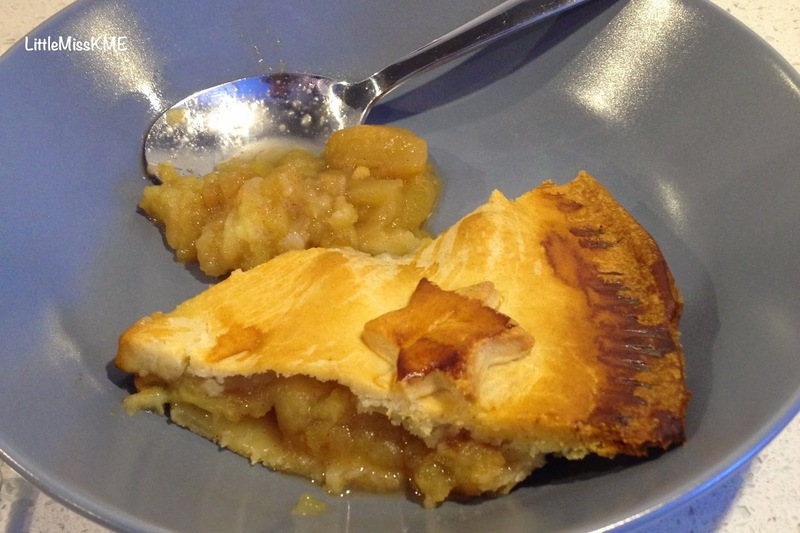 5 - Put the stewed apples onto the base pastry and spread out evenly. Then roll out the second half of the pastry for the top. 6 - With any leftover pastry you can decorate the top of your pie. 7 - Seal the edges of the pie with a little milk and also brush some milk over the top of your pie to help colour it while cooking. 8 - Cook in the preheated oven for approximately 50 minutes.